Washington 2018 Top Class Balanced – Who Will Lead 2018 Washington Football Class? That is a fair question. One thing for sure is this is a superbly balanced class with talent in all position. Each season we look out across the vast expanse of the Pacific NW to Oregon, Washington, Idaho, and Montana and ask ourselves who will it be this year? This brand we have all helped create and put forth has only been a reflection and amplification of the Boys of Fall was see rise up from our fields every year. With Oregon off to an Epic start with six 4 -Star recruits we felt it was time to turn our attentions to Washington. To understand how strong and deep a class we will have each season we have to look at the boys at the Top. 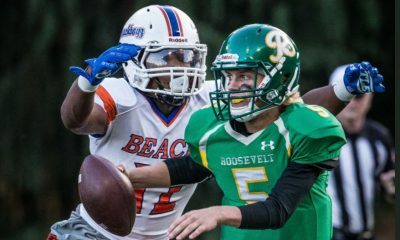 Here are the best High School Football players in the State of Washington so far. Sitting on Top of the hill is a big time QB. One of the best we have seen in years from Washington and he is Bothell High School’s Jacob Sirmon. He is 6’4″ and 220 lbs and has flat out run the table since his Freshman season. Jacob is committed to the UW. His arm and vision and his football IQ all have him in the Top 50 for the USA for this class and he is committed to the Under Armour All American Game! Here is a guy we first broke the story on late last fall. With not offers he produced one of the best films we have ever seen. His size obvious out there he can dominate. Treshaun’s speed however is perhaps among the best in the Nation and that has brought him 15 offers from MAJORS. He is one hot prospect and will be looked at WR and Safety as well as special teams. A superb pure athlete! Here is an explosive linebacker if there ever was one. With a deadly combination of speed and size Ben is as good of a pass defender as he is in stuffing the run and being a field general. We have has some 4 star linebackers in the past that were either too slow or too stiff. He is not one of them. This cat can explode and dominate the field side to side. Wit 13 Majors having offered him Ben will find a home and lead the NW brand into College no doubt! Old school and Smart! Devin Culp was the top recruit in this class and maybe still is. He was committed to Oregon last last year and opened things up! This kid has size and speed to really be a force at the highest levels of college football and beyond. 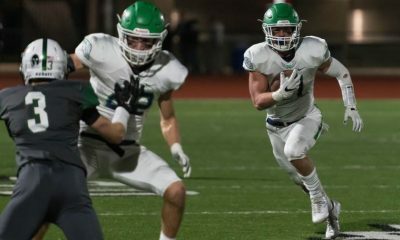 Coming out of Spokane he is a little more off the radar even still but do tno feel too bad as he is closing in on a top 10 National TE ranking and has 6 Majors including Oregon, Osu, WSU, and the UW! Will the Huskies lock up this top recruit to match with their amazing QB Class? We shall see. Going into 10th grade this big Austrailian had never played the game. The minute he put his fingers in the ground his head Coach Kent Nevin knew he had a great one. This former Rugby player and Boxer has quick feet, amazing balance, and is strong. Getting hit by him on a pas set is going to knock the wind out of most Defensive linemen. 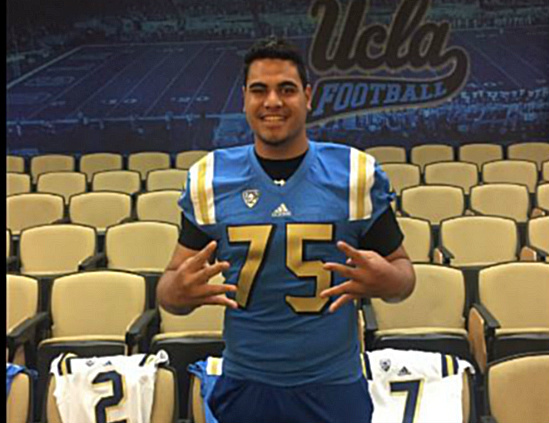 Ale is a special student athlete who has 1/2 the Pac 12 offering him and now schools in the SEC are waking up. Imagine how good this kid can be as his ceiling continues to rise up. Washington is a hot bed for linemen every year and this guy is at the top! 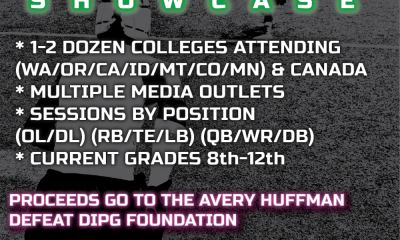 Kyler has 9 Majors and schools like Stanford, Oregon, Notre Dame, TCU, and UW are all after him. Top tier CB’s are tough to find and this is one of the best we have seen in years! Kyler has speed, leaping ability, can press, and is hard to beat deep. Rated #3 on the West Coast this kid is special. No matter where he ends up he is an impact player. Mason keeps moving up the ranks. OSU and Hawaii have made a move on this guy and more will too. He is too long and too fast not to gain more offers. His toughness stands out on the field and his hands are strong. 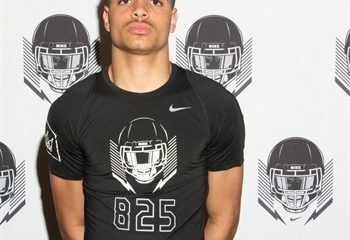 One of the best WR in the West and worthy of serious attention by colleges. What a terrific balanced group! Keep an eye out for our prospect lists, featured stories, and more and get your film to us for review folks! This is another great Washington class and guys will be moving up from the ranks all Spring!